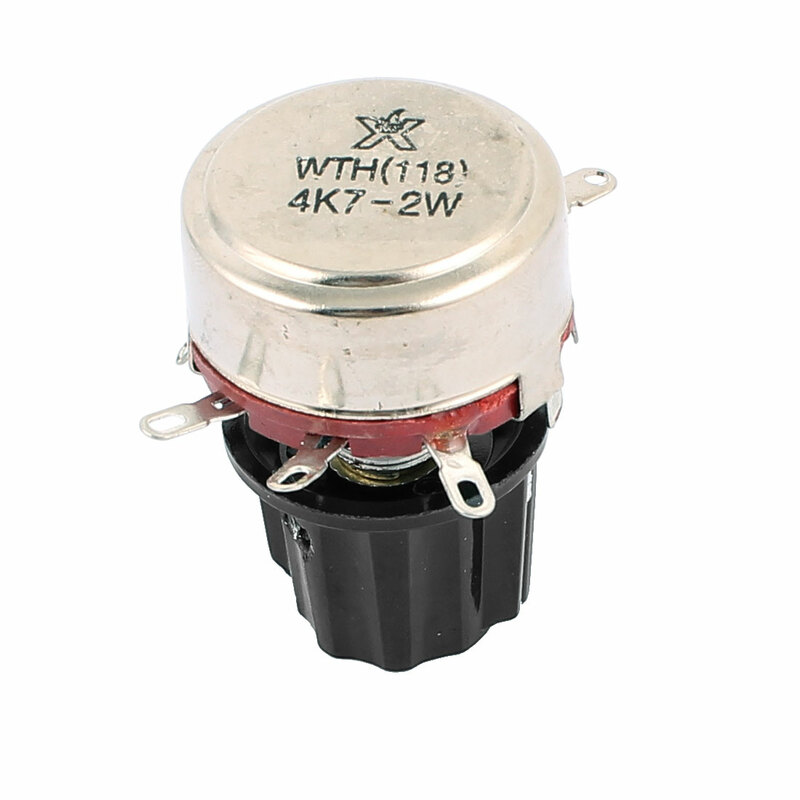 WH118 Single Turn Carbon Composition Potentiometer. Features: 4K7 ohm, 2W Rated Power, 4 Terminals, Carbon Taper Potentiometer. Application: Adjust Timer, Speed, Temperature.